Explanation: What's happening around that star? An unusual spiral structure has been discovered around the Milky Way star R Sculptoris, a red giant star located about 1,500 light years away toward the constellation of the Sculptor (Sculptoris). The star was observed with the new Atacama Large Millimeter/submillimeter Array (ALMA), the most power telescopic array observing near millimeter wavelengths, bands of light situated well beyond red light and between microwaves and radio waves. 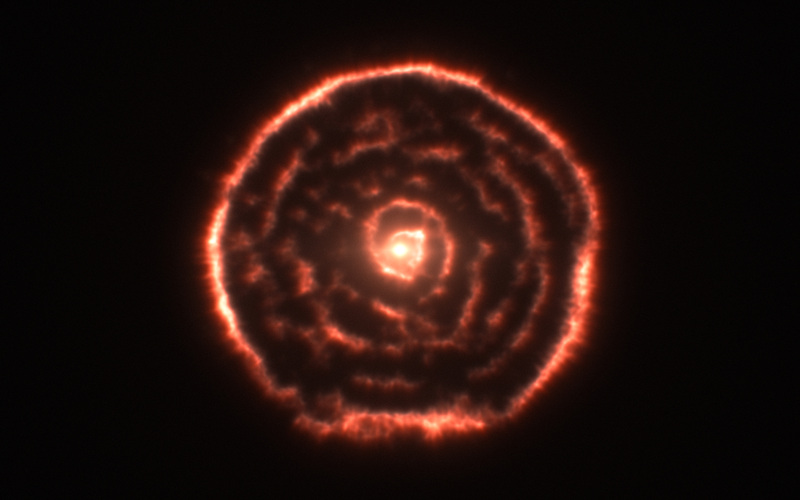 Data from ALMA observations was used to create a 3D visualization of the gas and dust immediately surrounding the star. A digital slice through this data showed the unexpected spiral structure. Although unusual, a similar spiral pattern was discovered in visible light recently around LL Pegasi. 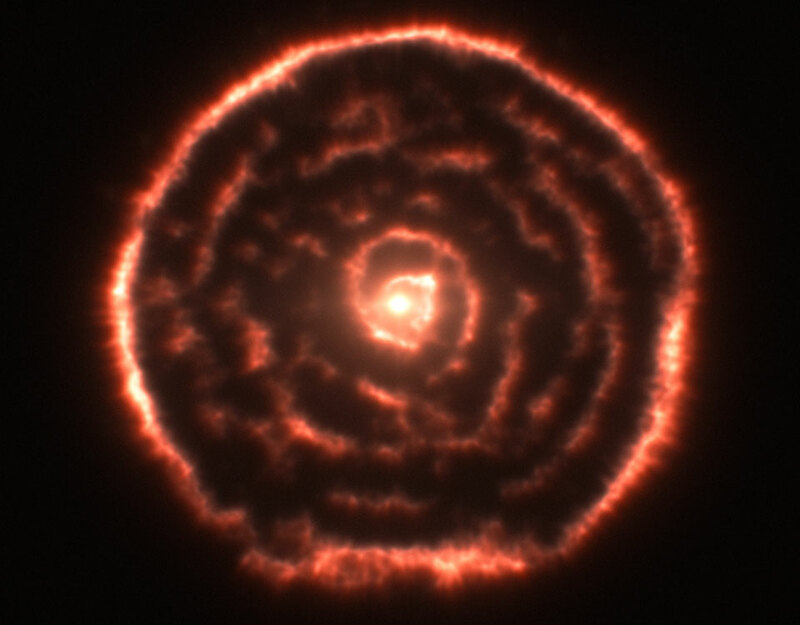 Upon analyzing the data, a hypothesis was drawn that the red giant star in R Sculptoris might be puffing gas toward an unseen binary companion star. The dynamics of this system might be particularly insightful because it may be giving clues as to how giant stars evolve toward the end of their lives -- and so release some constituent elements back to the interstellar medium so that new stars may form.